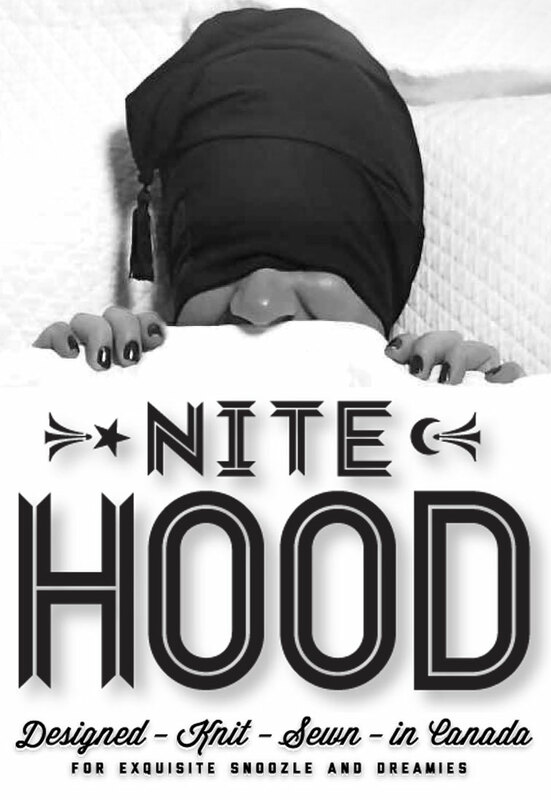 The Nite Hoods unique shape seems to resemble a Phrygian cap (a type of cap popular in ancient Phrygia, or modern-day Turkey, distinguished by the peak, which rests pointing forward over the forehead). 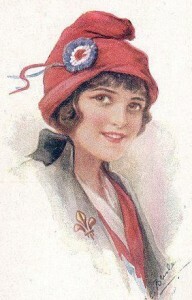 It shows up on the heads of French Revolutionaries as an emblem of “fraternity, equality, and liberty”. 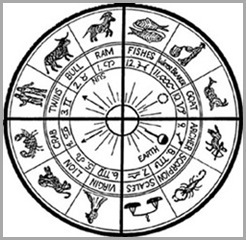 In this diagram the sun is seen in the centre and is surrounded by the 12 Zodiac symbols. Also, before Mithra(the sun) died he celebrated a feast with his twelve disciples represented by the twelve signs of the zodiac. For hundreds of years before Christ, people worshiped the sun. In the north as winter approached, the people, fearing that the sun had forsaken them offered sacrifices and prayed for the return of the sun. It always seemed to work because the sun god relented and the days started to get longer. Hence the solstice celebration. We often hear about how many of the traditions, rites and symbols of modern day Christian holidays have their roots in paganism. 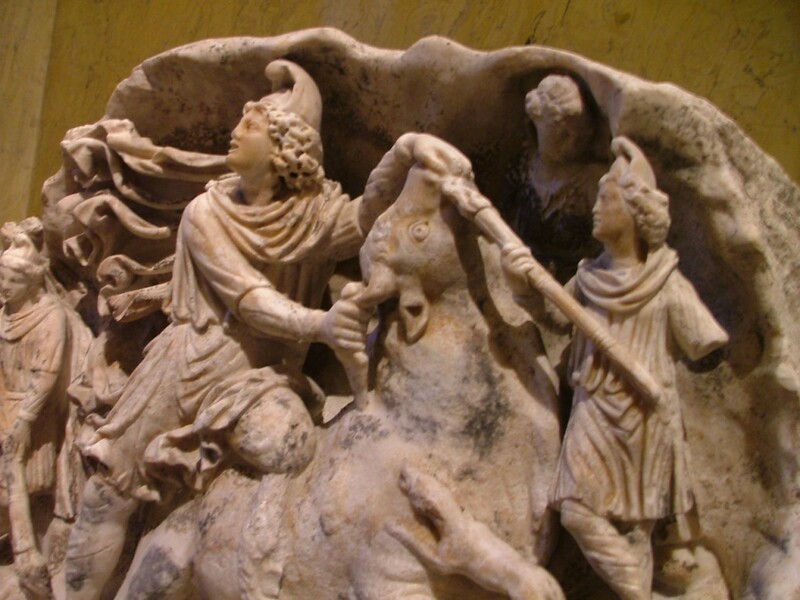 These pagan holidays and the worship of their gods (many with mother and son deities), became a much looked forward to time in the Roman Empire because they were so much fun. A time when slaves, commoners and dignitaries alike mingled and exchanged favours. 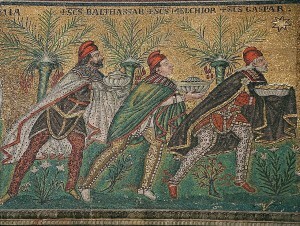 The “three wise men” with Phrygian caps to identify them as “orientals”. 6th-century, Basilica of Sant’Apollinare Nuovo in Ravenna, Italy. 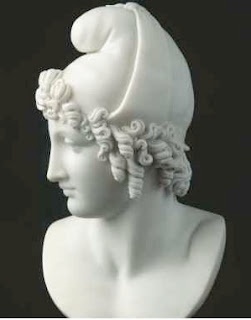 Is this Phrygian cap, worn by Mithras a distant cousin to the Nite Hood? Our sleep mask and cap that leads us into a journey absent of light only to bring us forward into light again. We are tied to the sun and worship it by our inherent circadian rhythm and a week from now, Dec 21st, we will experience the longest night of the year. We remember our place in the universe and celebrate far into this night with friends and family to welcome the light back into our lives.